We all know it’s important to continue learning and growing throughout our lives, but sometimes it’s also important to reflect on the knowledge we’ve gained. So today, I want to talk to you about the major lessons I learned in 2018. I did an episode like this last year, and I thought it would be a good tradition to keep going, especially because 2018 was such a meaningful time of growth for me. In this episode, I’ll share insights that have helped me reduce stress and increase positive emotions and contentment in my life. Listen in to hear the root cause of every problem we have, why we all need to become familiar with uncomfortable feelings, and more. Why self-coaching is so important. The value of properly processing negative emotions. Why we should become very familiar with the emotions that we don’t want to experience. The important thing to understand about the feeling of rejection. What really causes every problem we have. The big misconception about resisting reality. How to create positive emotions in your life. 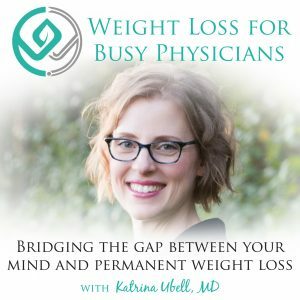 Katrina Ubell: You are listening to the Weight Loss for Busy Physicians Podcast with Katrina Ubell, MD, episode number 107. Welcome to Weight Loss For Busy Physicians. The podcast for busy doctors like you. Get the practical solutions and support you need to permanently lose the weight, so you can feel better and have the life you want. If you’re looking to overcome your stress eating and exhaustion and move into freedom around food, you’re in the right place. Hey my friend. Welcome to the podcast. So guess what? This podcast marks two years of Weight Loss for Busy Physicians. How fun is it? In case you didn’t hear me say before, it’s not episode 104, which you would think would be two year, it’s episode 107, because when I first launched I published three episodes, because this is what we do. Right? You don’t want to just have one episode, and then someone’s like, that was awesome, I want more, and you don’t have anything else for them. I launched with my first three episodes and it was the very end of January, and so that marks my two-year anniversary. It’s really crazy. Two years of doing this every week. I’ve not missed one week, and I’m really proud of that, to be honest because so many people really struggle with consistent content creation. It’s really something that people just let themselves get busy and they just don’t do it, or they just think nobody will notice, or it won’t be a big deal. What I really know and cherish honestly is the relationship that I have with my listeners, with you who’s listening right now. I don’t take that for granted. I really, really think about the time in your life that you give to me, and I want to make sure that I’m there for you. I want to be showing up for you and making sure that what I’m offering you has a lot of value, is helpful, that you come away from each episode going, that was good, or at least entertaining, rather than going, what a waste of time, or that was done, or something like that. I really do take that seriously. I always think about that with every episode. What is my intention? Why would my listener care? I hope that comes across to you, because this is my avenue to talk to you. There are lots of times when I’m just going about my day, when I think, oh, I should tell them that. Oh, I wish I could just tell them that right now. I have to filter these things because I can’t just … Well, I can do whatever I want, but I decide not to just bombard you with every little thought and musing that I have. Try to put them together in some sort of framework that is helpful for you. On this episode I wanted to talk about the lessons that I learned in the last year. I did that last year, at the one-year mark, and I thought it would be a good tradition to keep going. Now, when I started thinking about what I was going to share with you though, I was a little bit like, well, but I’ve already shared a lot of my personal work with them on this podcast, all year long, so what am I going to tell them? What I did realize that there were definitely some things that I was working on, deepening my knowledge as a coach, going through the master coach program, and doing my own personal work, and how that has then influenced my ability to coach my clients at an even higher level, always working on improving, as we do. Right? For sure one of the things, one of the lessons I learned this year is how important it is to do self-coaching. Now, that’s not to say that I didn’t know before that it was important. I think you can learn a lesson and then learn it on a deeper level, or like learn it and then learn it really at your core, in your bones where you’re like, no, I really, really get it now. Self-coaching is everything. That’s the self-coaching where you sit down and do a thought download, and you do models, and you really look at what you’re thinking. That’s the self-coaching where you’re questioning the thoughts in your head, like your brain offers something up and you go, hmm, is that really true? Or, do I really want to think about it that way? Or, what’s the result I get when I think about it that way? How’s that thought make me feel? Maybe I want to chose a different way of thinking about it, maybe I don’t. But just offering that up to myself as I’m going about my day. That starts with awareness of what you’re thinking, awareness of what your thoughts are. After you have that awareness, then you can start questioning everything. You’ll find that there’s certain thoughts that you want to keep, and beliefs that work great for you and you want to keep them. Then there’s going to be some, where when you really look at them, there’s really no point. I’ve heard this with my clients so often where they tell me things like, I used to struggle so much with the people that I worked with. I thought they all were awful. They just had all these problems. I was just so upset with them all the time. Then I just realized, no, what was making me upset was my way of thinking about them. As soon as I stopped thinking about them in that way, I felt so much better. It’s like, right. Isn’t it amazing? That’s so great. They completely changed their experience of their job just by changing how they think. Some of them are able to do this work on their own. Some of them that get guidance from coaching with me. Some of them will see the guidance that I offer to other group members who are struggling with their own things and they go, oh wait, I can do that too. You can learn so much from listening to other people being coached, or reading their coaching as well. So great. Another thing that I learned this year is the value in being willing to go to the hard places. What I mean by that is when you’ve gone through something difficult in your life, our tendency is to not want to go back there, because it’s painful. Right? Painful emotionally, painful in the sense that we feel a lot of uncomfortable emotions, and we just want to kind of avoid it. We think, I’m fine. It really isn’t a problem anymore. I’m totally okay with it. That’s how I felt with my daughter who passed away. In April, it’ll be nine years now, so it’s been awhile. I really was like, no, I’m good. I think everything’s fine. Can I bring myself back to that moment when they told me, and how sad it was? Of course, I can, but I just don’t see what purpose it serves. Why would I do that? Why would I do that to myself? What I learned this year was that it’s okay and super valuable to let yourself go back there when it’s helpful. That’s one of the best things about coaching is it’s like you have this guide. This guide taking you back to the difficult or painful place and holding space for you there. Want I mean by holding space is being there with you, and not falling apart with you. They’re staying there and they’re holding that space. They’re like, I’m here, I’ve got you, and you can do whatever it is you need to do, whether it’s an emotional breakdown, or you need to process whatever it is you need to process, like I’m here. What ended up happening was I realized that deep, deep down, I still had a bit of this little corner of myself that thought that my daughter’s death was my fault. Even though every time I had that thought, or even entertained the idea of, was it my fault? My brain was like, it was not your fault. Everyone said it wasn’t your fault. It wasn’t your fault. It wasn’t my fault. I know it wasn’t my fault. That’s how I would talk about it. I know it wasn’t my fault. This one coach who I know, who I love, just said, what if it was your fault? I started sobbing, like instantaneously sobbing. You guys, I’m not crier. It hit this place in me that I didn’t even know existed. I was just willing to be there, and to feel that. Now, it wasn’t a place of beating myself up. It was a place of just processing the pain, of the idea. Because some of you are going to be like, she sounds like a terrible coach. Why would she do that? It was actually amazing. A few other close friends were with me when this happened, and they were just watching the whole thing take place. They were like, wow, that was really powerful. I was able to finally stop blanketing, like putting a Bandaid over this little wound there, or probably deeper wound, with the idea of it wasn’t my fault, it wasn’t my fault, to just go, you know what? Sometimes we do things, maybe it was my fault, maybe it wasn’t. It doesn’t matter. Really, honestly, it doesn’t matter. Regardless, she died. How do people who do something that is their fault, like they drive drunk and they kill somebody? How do they ever forgive themselves? I was able to get to that place where I was like, I don’t know if it was my fault, but if it was, I still love me. Like, still nothing went wrong, she wasn’t supposed to live longer than she did. That took being willing to stay in that very painful place for a while. It was probably a solid week, maybe even two of feeling like I wanted to cry every day, sometimes crying every day, really processing that. I was willing to do it. I wasn’t thinking like, this is stupid. Why am I bothering? This is so painful. I was instead going, clearly I need to be in this place. I need to stay here until I no longer need to be here anymore, and I need to allow this emotion. This is some deep, deep work to be willing to do that. I think some of you, especially if you’re new to the podcast, you’re going to be like, whoa, I don’t know if I’m signing up to going back to the traumatic experiences in my life. 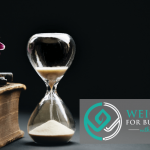 I’m not even suggesting that you necessarily need to do that or will want to do it, but when you’re working on really growing and developing as a human being, there can be considerable value in being willing to do this and being willing to be there. Also, the more times you do something like this, and you don’t rush yourself out of it, you don’t resist it and think you shouldn’t be feeling bad, and you’re just willing to be there, the more experience you get at feeling the negative emotions and not pushing them away, which allows you to process even just the day to day negative emotions that you experience better. We’re all going to have those negative emotions. It’s not like there’s going to come a point where you’re not experiencing them. Since that’s a fact, how about we work on processing them more efficiently, not resisting them, not making them bigger, more painful than they need to be? Just going, right, this is a part of my human life where I process uncomfortable emotion, and I’m all in. Let me do it. It’s totally fine, because as soon as I process it, I can move on to the next thing. This is what I know, had I not done that work on my daughter, then I would still be harboring that deep seated pain. It would just keep living with me forever. I would still have that, well, what if it was my fault? Now I’m just like, it doesn’t even matter. My brain never even offers that to me anymore, because it’s regardless, it doesn’t matter. I love her. I love me. It all happened the way it was supposed to happen. That is what I truly deep down believe. That has allowed that wound to heal, as far as I know. I don’t think there’s more left. We will see. I’m open to the possibility that there might be something new in the future. All right. In combination with that, another lesson I learned this year was how important it is to become very, very familiar with emotions that you don’t want to experience. This can be positive emotions or negative emotions. 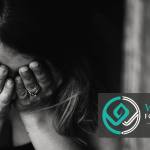 We think of it generally more with negative emotions, but with positive emotions sometimes we really are uncomfortable with certain positive emotions as well. It’s important to think about that and not just think all positive emotions are ones that we want to feel. But, a negative emotion is typically something that we’re wanting to rush away. What I’m always teaching my clients and of course working on myself is being willing to feel it, just like I was talking about. There was one emotion in particular this year that I noticed coming up periodically, and just it was kind of like, oh, there it is again. There it is again. I decided, you know what? I’m just going to get really good at feeling this. That emotion was rejection. I’ve told you guys before, there’s a reason why rejection feels so bad for us. We are pack animals. We are meant to work in groups and have a community. If you were rejected from the group it basically meant certain death. Of course, you don’t want to be rejected. You want to be a part of the group, and you want to feel accepted. That’s why it’s such a primal need of ours. It’s a driving force within us. Of course now, in the world we live in, we’re going to feel rejection, just if someone doesn’t like a Facebook post or something. It doesn’t mean that we’re being rejected, and we’re not going to be able to live with the tribe anymore. It doesn’t mean that at all, but our body and our brain interprets it that way, and our body feels that way. I really decided to just get to know the feeling of rejection really well, instead of thinking that feeling rejection was bad, and I needed to make it go away immediately. Because that’s often, when we’re rejected, like someone doesn’t like our Facebook posts, then we’re like, oh wait, I feel rejected. Now I need to convince you that I’m right so you stop rejecting me. But the reason we feel rejected is because of our thoughts. They say something. We interpret it as rejection, and then we feel rejected. It’s not our job to get them to think or believe something different, so that we can feel different. We are in charge of that ourselves. Now sometimes though, we’re really like, nope, I feel rejected. I really can’t think of a different way to think about it, and that’s totally fine, but get to know it so the next time you feel it, you’re like oh yeah, that’s rejection. I know that feeling. Just like you know the feeling of being nervous, like that butterflies in your stomach feeling. You’re like, oh yeah, that’s nervous. You can identify that immediately. Can you really identify immediately what rejection feels like? Maybe, maybe not. There’s probably certain ones like, I know frustration, how would I describe frustration? If I met some sort of alien who had no idea what an emotion was and I had to explain it to them, how would I describe that? I decided to get to know rejection really, really closely. I found out that it makes me feel really weak in my muscles. It makes my body feel very, very heavy. It feels like when I’m moving around, like I’m moving through mud, or water, or just everything feels more effortful. I found that when I’m feeling rejected what I want to do is actually I isolate myself, which is interesting, right? It’s like I’m creating the feeling of rejection. Instead of trying to go get that social connection that I’m wanting, instead I am like, all I want to do is go to my bed and go to sleep, and get away from everybody. I’m just like, nobody likes me. Everybody hates me. I might as well go eat some worms. That’s just sort of like, I just want to get away. I got to know that feeling, and every time I would have that experience again, I just feel like, okay, that’s rejection. I’m just going to feel that. I’m going to allow that, get to know it in my body. There’s nothing to be afraid of. It’s just rejection. It’s just an emotion. And now I’m like, oh yeah, rejection, okay cool. Let’s do it. Bring it. I know how to feel rejected. That’s what happens when you’re willing to feel those emotions, and you’re all in on getting to know it. You’re like, okay, it’s just an emotion that passes like any other emotion. Anything, even like terror, or humiliation, or embarrassment, or anything that we think is really, really intense, it’s still just an emotion that we can always process and feel. Then the final lesson that I really, really worked on a lot this year was stopping resisting reality. That really is every problem that we have is because we think things should be different than they are. Right? People should be doing the things differently. They should be saying things differently. The world should be different. The weather should be different. The way people drive should be different. The way people interact with one another, and with us should be different. The way our patients take our advice should be different. You name it, we could go on and on and on. Really it shouldn’t be different because it isn’t different. If it was supposed to be different, it would be different. I always think of it, because I’m such a visual person, I think of their resistance as just my fists clenched around the way I think it should be, which it isn’t. Then when I think about what I want to do, I want to open my hands. It’s all it is, is just releasing the grip. We have this grip on our lives. We want to control everything, like, I need to control everything so everything can be the way I think it should be. Except, other people don’t tend to respond to that very well. You might have notice, right? Particularly adolescent children. It doesn’t work well. Then the more they resist, the more we try to control them. Because we’re like, wait, it needs to be the way I think it should be. What would happen if you just let go and believed, actually maybe I don’t know at all how it should be. Maybe this is exactly the way it should be. What then? If it was exactly the way it should be, then do I have a problem? Maybe everything is fine then. It changes everything. I’ve worked with my client on this as well this year, where often times they’re like, I just need a new thought. I’m like, no, you don’t need a new thought yet. The new thought will come once you stop thinking the way things are now is bad. You still don’t see that the way things are is just a neutral circumstance. It’s your thinking that’s creating the idea that something is going wrong. It’s something that took me awhile to work on. I still work on it on a regular basis. Just recently I was having a day with these dogs, these puppies, and my brain was like re-homing them is definitely the answer. This is ridiculous. That’s one of those great thoughts, right. This is ridiculous. I can’t get anything done. It’s just, what are we even doing? Why do we have these dogs? We are signing up for this and we don’t have to do this. We definitely could find somebody who wants two adorable Westies, or just one. We’ll find two people who want one. It was so interesting how it took me a little while that day to realize, okay, I’m just resisting reality again. That is what my problem is. I am just thinking it should be different than it is, but they are adolescent puppies, acting the way adolescent puppies act. That’s how it is. It’s not supposed to be any different than it is. By the way, I know I have a lot of veterinarian listeners, and I love you guys so much. I just have to share with you what was so adorable. My little Sonny, my little girl, she got spayed a couple days ago. She’s like a Westie who looks like a Maltese. No joke, they have those things that you can figure out the genetic background of your dog, like if you have a mutt or something, to figure out what they are. I for real, think I might do that on this dog, because we even have her pedigree going back a few generations that she’s a Westie. I really doubt it. Even my vet was just like, I’m not sure. I think she’s got Maltese in her, like way back, far in the lines or something. I don’t know. I just want to know. Not so I could say anything to the breeder, but just because I’m so curious. But anyway, so she got spayed, and they were so cute. They sent me a text from the vet. The title was, Spay and Spa Day. There’s my little Sonny with a little bow that they had tied in the fur on top of her head, which I was immediately like, how did they do that? How did she let them do that? It was like, oh right, she was under anesthesia, right? She was totally doped up. Of course that’s how they did it. Then they ended up just playing with her, and holding her, and petting her all day. She came home, she was so tired from not having any naps. She was sitting up and falling asleep sitting up. Her nose was on the ground. She was like, I can’t even keep my eyes open. This poor little puppy. Anyway, I digress. But my point is that we keep thinking things should be different than they are, and that creates a lot of resistance. That resistance is what makes us feel so bad. Now, this is where everybody gets confused. Not resisting any longer, dropping the resistance does not mean that you condone other people’s behavior, or agree with them or think what they’re doing is okay. This is where everybody gets tripped up. All right. You have your brother-in-law that you can’t stand, and you’re like, wait, so if I just stop thinking he should be different than he is, then I just think that the way he acts is okay? Because I don’t. I don’t want to be okay with him thinking that the way he acts is okay. It’s not at all what I’m saying. When you are not resisting anymore, you’re just accepting the reality that this is the way your brother-in-law acts. It’s like, yeah, he’s not supposed to be different because he’s not different. He’s not going to be any different. He does not want to be different, and he’s in charge of that, and so, that’s just how it is. I don’t have to be around him. I don’t have to think what he does is great. I can think that, that’s not at all how I would choose to show up in my life. But you stop the resistance. The resistance is what makes it so uncomfortable. This is the something when people get in trouble with politics. They get so worked up in thinking that people should be different. They’re no different. You know who I’m talking about. He’s not going to be any different than he is. We’re all humans. Maybe you can see some of the shared humanity there, but being so mad and upset isn’t changing things. It just really isn’t. All it’s doing is creating negative emotion for yourself. This is, what I usually tell my clients is 2.0 level work. This is where you’re really like, okay, I get the model. I understand that, and I’m still struggling. It’s like, okay, this is that next level where it’s like the new thought, you’re not ready for a new thought, because you’re still thinking the circumstance is negative, and it’s not. It’s always neutral, so your job always is then to find the neutrality of the circumstance first. The way you find that is by dropping the resistance. It’s so important, such good work. I already said that was my final one, but as the little star on the bottom, the little PS on the bottom, I really, really worked on creating positive emotion on purpose this year, and learned how to do that. Really, appreciation and gratitude are the best ways to do that. Just finding something good. Finding the good that is all around us. Finding the beauty, finding what’s amazing, noticing the little things and letting yourself live in that space creates amazing positive emotion, sometimes really intense positive emotion, and sometimes just things like contentment. Contentment is really an amazing emotion, in my book. Because even being happy all the time, we’re not going to be happy all the time. But feeling content at least most of the time, that’s pretty amazing. I think that’s a really, really great goal, a really great goal to just be enjoying your life. Everything is great. Nothing is going wrong. That’s what happens when you stop resisting reality. Super, super good stuff here. Well, thank you so much. If you have been listening since the beginning, I appreciate you. If you just found me last week, I appreciate you too. If you found me anywhere in between, I love all of you, all of you so, so, so, so much. If nobody’s told you lately, I love you, because I really, really do. It’s really true. I have just really truly loved creating two years of the podcast for you. It’s my honor, my pleasure and I really appreciate you listening. I appreciate you leaving me all those reviews that you did, and your ratings. I appreciate you telling your friends, telling your doctors, telling everyone you know. I’ve had many people tell me that, everyone I know listens to you. Telling your patients, all those people, I think it’s amazing. I think we’re changing lives one person at a time. I think it’s so great. Thank you so much for two amazing years. I can’t wait to see what the next year brings for all of us. Have a wonderful week. I’ll talk to you next time. Bye-bye. Wow Katrina. You are such an inspiration to me with this post. I am down 20 lbs from this work and have 20 to go. It feels like I still have 75% of the habits and patterns even though I’m getting results. I’m finding patience and self love for it taking as long as it takes without ever giving up. Just today I was processing very intense feelings of rejection, platentlt made up from my thoughts, and realising that I need to get up good at feeling this. The coolest part for me was that I didn’t feel like solving it with food . Thanks for sharing such a personal journey. I am grateful for your work.